Mention Swiss farming and images of dairy cows spring to mind - not cannabis plants. But now the government says it wants to do more research into medicinal cannabis and make treatments with it more available. On a farm in lush green countryside, an hour from the capital Berne, Markus Lüdi proudly surveys his crop. It's almost harvest time, and this year, after the long hot summer, it's likely to be a good one. His plants are valuable - as shown by the high fence and electronic gate protecting them. 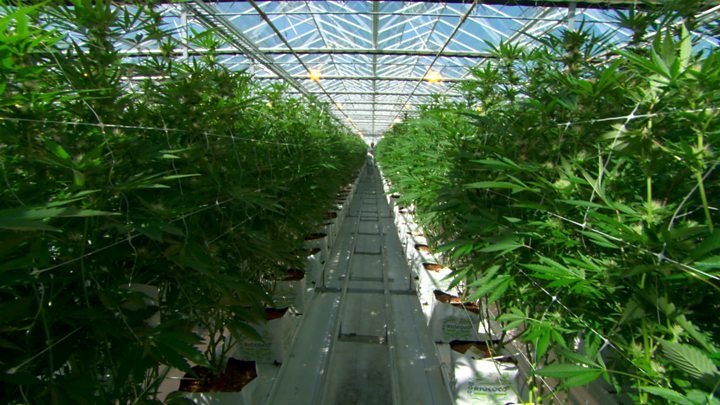 Markus is actually a chemist, not a farmer, and his crop consists of hundreds of cannabis plants, which he uses to produce cannabis-based medicine. Switzerland has flirted with legalising cannabis for 25 years, without ever taking the plunge. Possession of the drug for recreational use has been decriminalised, but cultivating or selling large quantities of cannabis containing more than 1% of tetrahydrocannabinol or THC, the key psychoactive element in the plant, is a crime. Not so for Markus, however, as his plants are designated for medicinal use. "We have a special permit from the Swiss Federal Health Office," he explains. This harvest will be turned into cannabis tincture, and cannabis oil. There will be enough to last several hundred patients across Switzerland for a year. And he can grow a 10% surplus, in case more patients are prescribed it. But Markus cannot export his products, despite demand from neighbouring Germany, where medicinal cannabis is permitted. In the small market town of Langnau is the only pharmacy in Switzerland which stocks medicinal cannabis. Here too the strict controls surrounding the drug are apparent. Each patient prescribed it by a doctor must also get a special permit from the Swiss Federal Health Office, and pharmacist Daniela Eigenmann must have a permit for each prescription. Daniela points out that cannabis has been used for medicinal purposes for centuries. "In 2,700 BC, a Chinese emperor used it against malaria, and rheumatism," she says. "I think it should be available. It's not a miracle cure, it won't help everyone, but patients should have the opportunity to have it." Cannabis to smoke is not prescribed in Switzerland, though some German doctors, unable to access the oils and tinctures, prescribe cannabis flowers which can be smoked. Most of Daniela's patients take the cannabis oil or tincture for chronic pain. Some are para- or tetraplegic and suffer agonising spasms, others have multiple sclerosis, others, like Bernadette Niklaus, have suffered a lifetime of pain. "My pain began when I was a little girl, I have scoliosis," she explains. "I had all sorts of treatments. They put metal in my back to stiffen it, then took it out again. There came a point when I said if I can't get some relief from this pain, I'm going to end it all." After spending years on various strong painkillers, Bernadette's doctor suggested she try a cannabis tincture. "It's changed my life, I'm so much more positive now that I have less pain." "I can do so much more with my family. It's a hard thing for a mother - I've got two boys - to always have to say 'no, I can't do that, or that'." Bernadette takes five drops of the medicine, three times a day. She needs two small bottles a month, and has had to argue for support from her health insurance company: each bottle costs around $500 (£387), and some companies refuse to cover the cost. 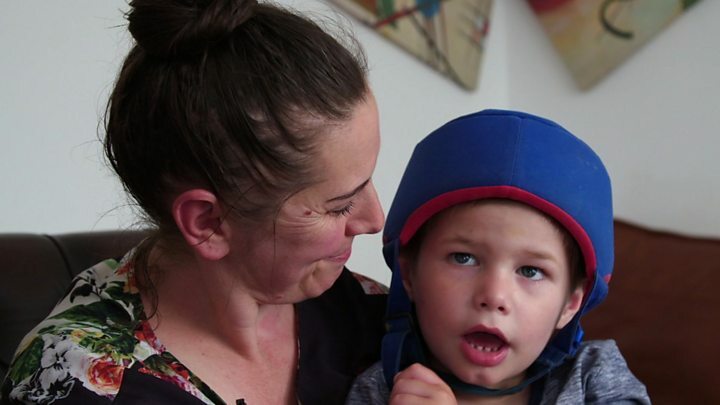 She fears that if the law is not both relaxed and clarified, she and patients like her could lose access to medicinal cannabis, and might even be forced to get it illegally. "That would be humiliating," she sighs. Now though, the Swiss government has backed easier access to medicinal cannabis, and even the right-wing Swiss People's Party, traditionally an advocate of total abstinence, seems to support making life easier for patients for whom it is proven the drug works. Larger studies of the medicinal benefits are planned, and legalisation for recreational use is also back on the agenda, though that will be a much tougher political battle. 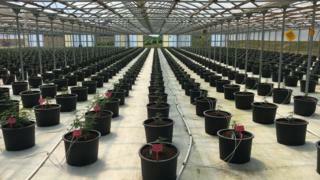 Markus Lüdi is growing 15 types of cannabis plants in various different soils and environments, in order to find the hardiest and most reliable strain. He hopes for new market opportunities, but says the Swiss government must act quickly. "With the name [and reputation of] Swiss pharmaceuticals, of Swiss quality, of Swiss organic growing, we will have an opportunity to get a share of the market." But he is aware that in other countries, such as Canada, where cannabis will become legal next month, and even Lebanon, producers are poised to take advantage of a lucrative European market. "If the government doesn't act faster we will definitely miss an opportunity, and the big market will be gone." He is not entirely optimistic. Having spent more than a decade trying to gain acceptance for his medicines, he is all too aware of the stigma that still surrounds cannabis. "It's, you know - 'lazy people smoke cannabis, long-haired people smoke cannabis, people that want to destroy our society smoke cannabis'," he complains. "This recreational use, this smoking, gets mixed up with the medicinal use. A lot of people just put it all in the same pot." "Pot," he laughs, and goes back to tending his plants.